Next to the guitar, a good amplifier should be your next major investment in the guitar signal chain, if you want to improve your tone. 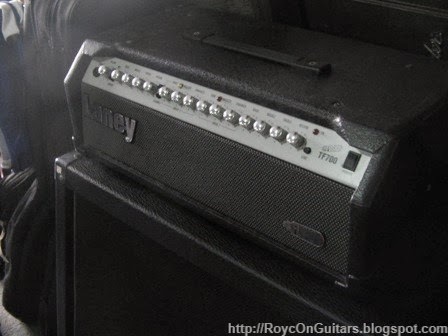 Here are few things you need to know when buying a guitar amp. A combo amp has a built-in speaker while a head amp requires an external speaker cabinet. A combo amp is easier to carry around since you are lifting a single unit. 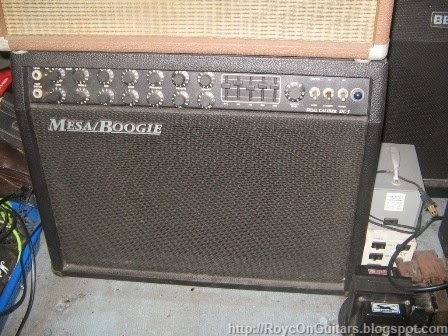 However, a head amp is lighter to bring if the gig venue has an external speaker cabinet. A combo amp with a small speaker, but with an external speaker out for connecting to larger cabs, is a good compromise. As the name suggests, tube amps use vacuum tubes to shape and amplify the signals coming from the guitar. 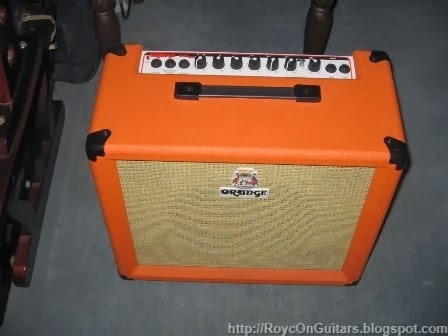 A tube amp usually has a small window where you can see small glass bottles with filaments glowing orange when powered up. Good tube amps may also have more than one transformer inside. When overdriven, the tubes will amplify the output to the point of distortion. Tube amps produce smooth distortion and early guitarists discovered that they sound good with guitars. These are touch-sensitive amps. 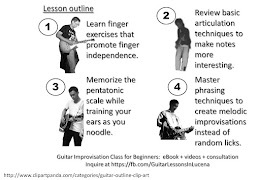 Light picking will produce a cleaner tone while hard strumming will distort the output. You can crank the amp and lower the volume to get a clean tone. A small increase in volume will then result in distorted tone without touching the amp settings. They take several minutes to warm up though. Turn them on while you are setting up. Tube performance decreases with use and they have to be replaced every few years. However, it also provides an opportunity to try different brands. A tube with the same model number will vary in tone across different manufacturers. Those who have extra cash can experiment with different brands to find one that matches their taste. When looking for replacement tubes, you will often encounter descriptions with the word NOS (New Old Stock) in it. These tubes were typically manufactured before the 70s, but were unsold. They are said to give better tone than newer stocks, but are more expensive. When changing tubes, play the guitar several seconds after turning off the power to discharge whatever current has been stored. This will avoid a possible electric shock. There are also tube amps that use point-to-point wiring. This simply means that the components’ terminals are physically connected to each other with wires. There are no printed circuit boards. Also called SS amps, these were a result of miniaturization in the field of electronics. Along with smaller components, solid-state amps resulted in amplified sounds that are very clean, sometimes to the point of being sterile. However, driving them to clipping results in a distorted tone that is not as smooth when compared to those produced by a tube amp. Overdriven tubes result in a rounded waveform while solid-state amps have squares that are sharp to the ears. Expensive solid-state amps may have better-sounding distortion. A hybrid amp typically has a tube in the preamp section and solid-state components in the power amp stage. This makes the distortion more pleasing to the ears and similar to the output from a tube amp. Combined with amp emulators, these amps are quite flexible since you can select from different amp sounds with a simple switch. It also allows you to have overdriven tube-like sound at lower volumes. A 15-watt tube amp will appear to be louder than a 15-watt solid-state amp. A 5-watt tube amp should be enough for home use while a 2-watt amp is sufficient for bedroom use. A cranked 15-watt tube amp can shake wooden walls. Consider that when choosing an amp rating. Two channel amps make it easy to switch from clean to overdriven sound by plugging to a different input or flicking a switch. Clean sound remains clean even at high volumes, while the other channel feels like a normal amp whose distortion level can be adjusted. These amps have auxiliary inputs for music players, allowing the playback of music while playing guitars, all from a single amp. Some models have a line out for connecting to a mixer or powered speaker, but the signal usually comes from the preamp stage so the resulting tone will be louder, but not the same. Others have an external speaker out to allow connection to larger cabs, resulting in bigger tone. I will be discussing the speakerin my next article. Nice blog, Roy! As usual! I think the reason why tube amps appear to be louder is because they are actually rated lower than the actual power --there's a bigger power margin. Unlike SS amps. BTW, you should note too that FET amps (compared to BJTs) sound closer to Tubes and some actually sound very tube-ey. On why tube amps sound louder, i read an article that the distortion make it appear louder. I am still researching on other reasons so I didn't explain the reason yet in the article. Thanks!